Our veterinary assistants play a vital role in the Litchfield Veterinary Hospital Team. They have many years of experience in working with animals or in veterinary medicine. 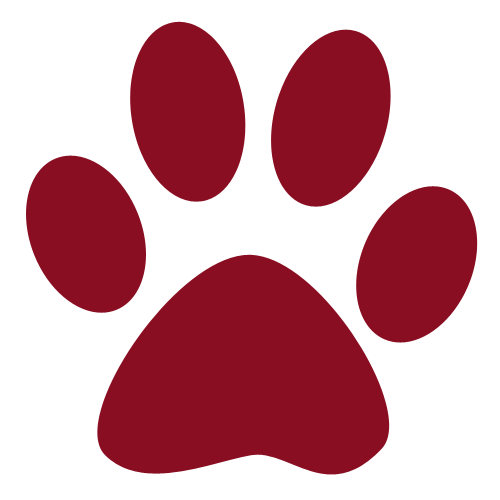 Our assistants are knowledgeable in all aspects of veterinary medicine and provide exceptional client education and care with compassion and dedication. 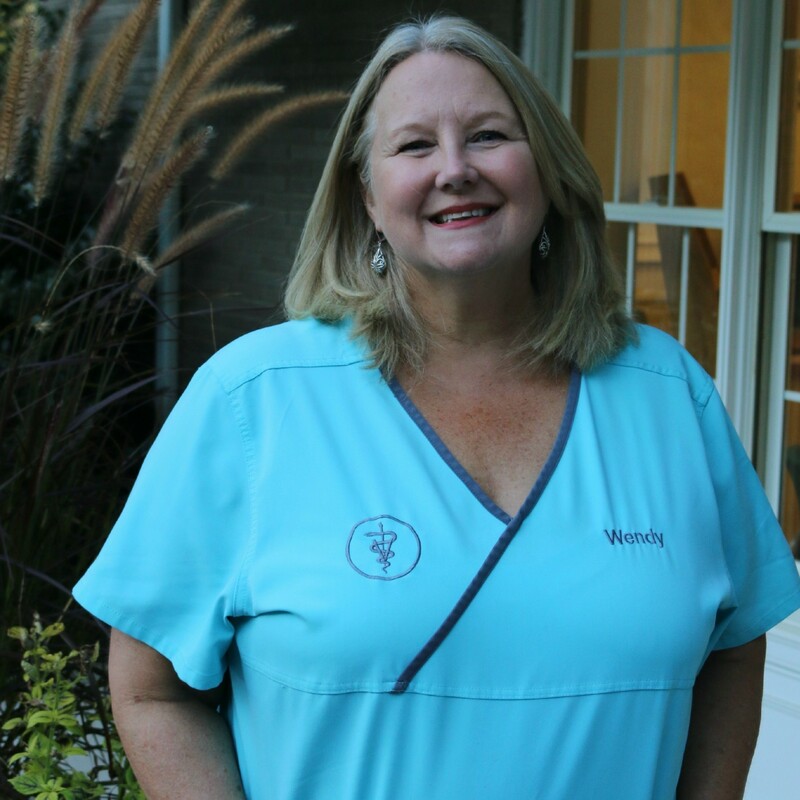 Wendy has been a member of the Litchfield Veterinary Hospital team since 2008. She has been committed to pet care for the last 25 years. As a passionate animal lover, she has worked as a veterinary hospital manager, veterinary assistant and kennel manager. Wendy is owner of "Peace of Mind Pet Care", a pet sitting and house sitting service established in the Litchfield area since 1996. Wendy is also a graduate of The Master Program at National K-9 School for Dog Trainers in Columbus, Ohio. Wendy resides in Litchfield with her husband and two young daughters. They have a dog named Zoe, and a cat named Darla. Melanie joined our team at Litchfield Veterinary Hospital as a Veterinary Assistant in the summer of 2016. Melanie brings with her a lifetime of animal knowledge and experience. She has a passion for all species of animals. Her experiences include volunteering in shelters and at adoption events, being a member of the FFA, attending the Veterinary Science program at Nonnewaug High School in Woodbury, showing dogs professionally and recreationally and becoming a professional pet groomer of many years. Her accomplishments include an award of merit as an exhibitor at the Westminster Kennel Club dog show and recieving championships in conformation judging with many dogs including her own Bedlington Terrier "Gus". Melanie has worked as a Veterinary Assistant since 2015. She has had an interest in and passion for veterinary medicine for many years now and plans to complete her goal of becoming a Certified Veterinary Technician. Through these collaborative experiences she found what she enjoys most, which is building positive, informative and trusting relationships with owners and their pets as she values and understands the human-animal connection very deeply. Her favorite aspect of her career is treating each and every animal in her charge with the tenderness and compassion she would her very own pet. She truly enjoys all aspects of veterinary medicine. Melanie lives in Bethlehem, Connecticut with her husband, Michael and their two energetic children, Elliott and Autumn. When she is not working, she enjoys spending time with her family and her two beloved dogs "Bella" a Maltese and "Gus" a Bedlington Terrier. Abby joined our team in 2014 as a kennel attendant while she was attending classes at UCONN. She soon began training as a veterinary assistant, alongside our certified technicians and doctors and continued to develop a love of veterinary medicine. Abby has always had a passion for animal care, working for many years with a large horse farm. She enjoys horseback riding, hiking, and spending her free time with her rescue dog, Dakota and her two cats, Delilah and Diesel. She resides in Morris. Abby graduated in 2015 from UCONN with a Bachelors degree in Animal Science. She is currently working toward an Associates degree in Veterinary Technology at Northwestern Connecticut Community College. 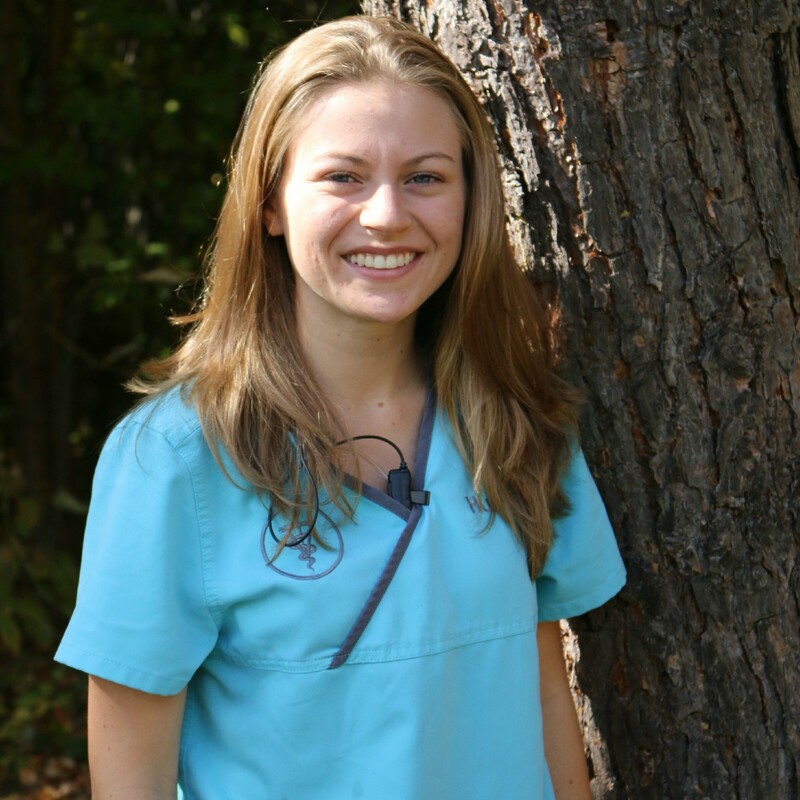 Hunter began working for Litchfield Veterinary Hospital in October of 2014. She started working in our kennel and quickly developed a passion for working in veterinary technology. She has since joined our team as a veterinary assistant and is currently attending Northwestern Community College, working towards a degree in Veterinary Technology. Hunter resides in Goshen with her family. She has three pets including, two Maltese named, "Simba" and "Duffy" and a Basset Hound named "Bessie". Megan joined our team in January 2018. She is a 2014 graduate of Stonehill College where she studied Biology. Megan is currently enrolled in Penn Foster's Veterinary Technician Program. As well as her previous experience as a veterinary receptionist and veterinary assistant, Megan brings compassion and dedication to the patients she cares for. Megan's interests include veterinary neurology, surgery, and anesthesia. When not working, Megan enjoys traveling to warm locations! She shares her home with her 2 dogs, Roxy, a lab mix and Snoopy, a border collie mix. Lynsie joined our team in March of 2018. She attended Northwestern Community College. She brings with her a decade of experience working with animals. Her experience includes working in shelters, kennels and in veterinary medicine. In addition, she is a certified dog trainer. Lynsie enjoys both the challenges and rewards of working in veterinary medicine. She has a special interest in phlebotomy, laboratory procedures, dentistry, patient care and client education. Lynsie shares her home with 4 dogs, Stella, Maxi, Lyllie and Ruger. She also has a cat named Jet. In her spare time, Lynsie enjoys hiking with her dogs, photography, wake boarding, water skiing, and camping. She also loves music and spending quality time with her family and friends.